This is a brand new texture pack called the Pro World texture pack. Download this texture pack and expire a brand new feeling in Minecraft. 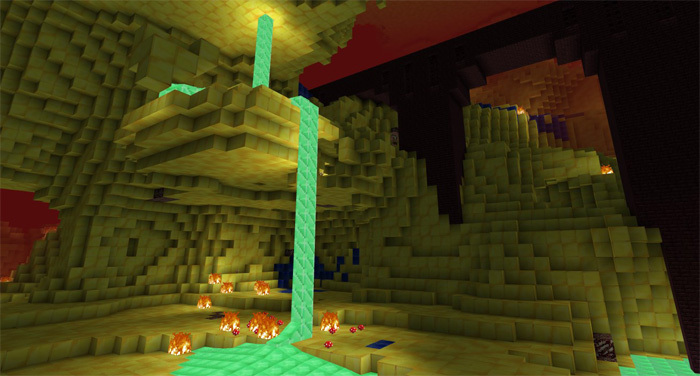 The Pro World is a concept for a new dimension in Minecraft. This is only a texture pack to give you an idea of how it could look like. It basically just replaces some of the textures in the Nether. Anyways, it’s a really cool concept for a dimension where players could go and find valuable items in masses. Enjoy playing! Download Pro World Texture Pack here!